Expanding the Table is a Summerville-based outreach providing hot meals to those in the community who are in need. As part of Ashley Ridge Church's Outreach initiatives in 2014, both staff and volunteers, were looking to see how Ashley Ridge Church might be able to help meet some specific need that was going unmet in the community. During that search it became evident that there was no longer a place in Summerville where someone who was in need of meal could find something to eat 7 days a week. The research indicated there were a couple of church missions that were providing two days per week and others occasionally during the month that were serving dinners. Ashley Ridge Church decided to put a kitchen on wheels to fill in the vacant days. 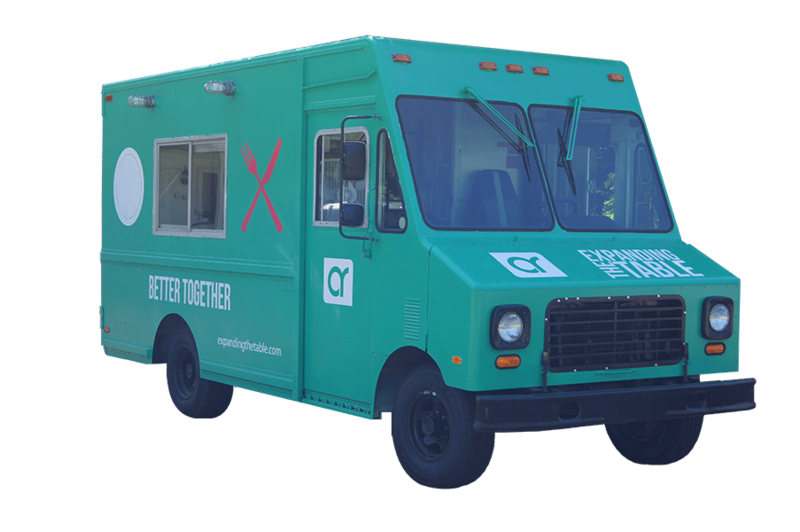 A food truck gave us the ability to bring the food to those in need, and it provided an ideal opportunity to partner with other churches in the community by serving from their parking lots and involving their congregations. The Expanding the Table truck hit the road on April 23rd, 2015 serving a few days per week with the intention of expanding operations to 5 days a week throughout the year. While Expanding the Table is primarily about providing a hot meal, it is more than just food. The volunteers lovingly serve a nutritious meal, but also look to develop relationships with those in the community. As they get to know the guests, they can listen to their needs and help them connect with numerous other resources within the community. The truck carries a list of over 50 different human services organizations that can help with a variety of needs with everything from food pantries, shelters and free medical clinics to job placement assistance and social services. Expanding the Table was created to display the love of Jesus Christ to all who join us at the table.